A Place Of My Own: In rotation.. 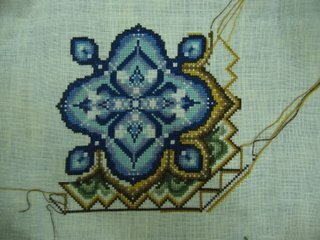 The other good way of finishing stitching projects is doing them in rotation. You pick the ones that you want to finish and work each one for about 10 hours or so before continue on to the next. When a project in that rotation is finished, you can add in another one. 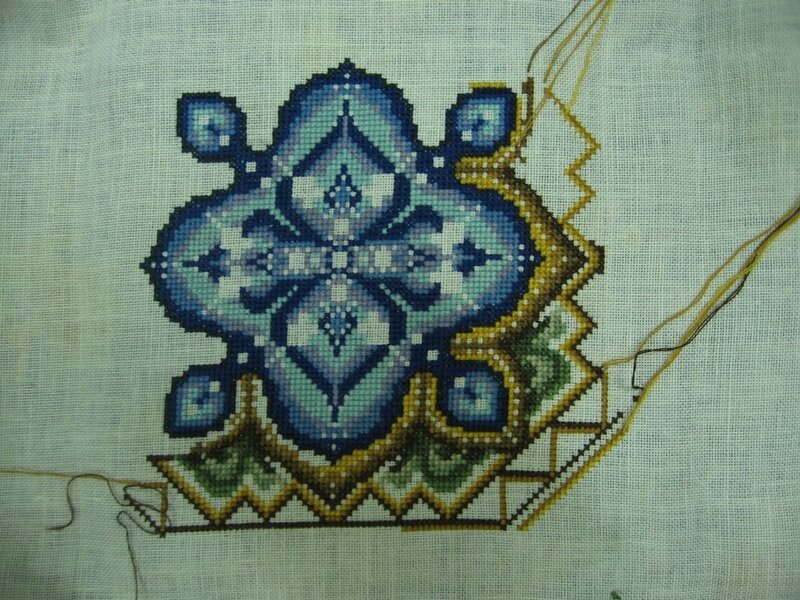 This is Chatelaine's Watergarden WIP (work-in-progress) at 54 hours. May you bloom wherever you are..